With Readly you can read My Residence and thousands of other magazines on your tablet and smartphone. Get access to all with just one subscription. New releases and back issues – all included. 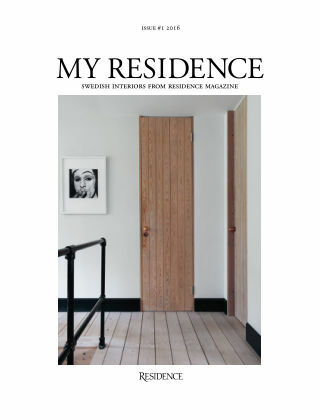 My Residence is an annual publication in English, covering the best of Swedish interiors, design and architecture presented by Residence Magazine throughout a year. The first issue of My Residence includes the homes and studios of 19 creatives, including super stylist Lotta Agaton, ceramicist Carina Seth Andersson and world renowned choreographer Alexander Ekman. My Residence provides a deep insight into Swedish interior aesthetics and is a must read for anyone interested in Scandinavian living.